The G19X was developed for the military and is a practical everyday pistol that will do what you need it to do, when you need it to, every time, in every condition. That confidence now comes in a different color, with GLOCK's first-ever factory-colored slide, The GLOCK 19X's nPVD slide coating prevents corrosion, resists chemicals, and stands up against the elements. The pistol includes a standard 17-round magazine and two +2 magazines, along with a coyote-colored pistol case. 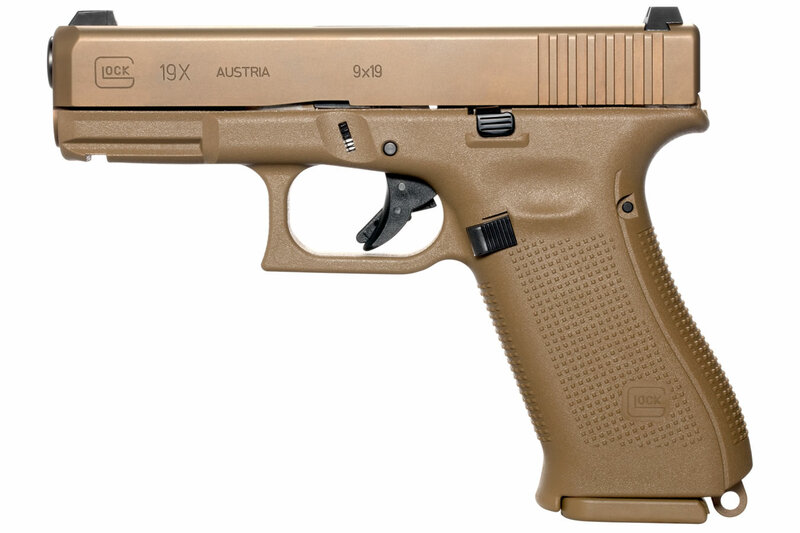 The GLOCK 19X enjoys the same design improvements as the other new Gen5 pistols, making it innovative on all fronts, but it also features a number of firsts and is destined to absolutely be one of GLOCK's most popular offerings to date.